Do You Need a White Collar Criminal Defense Attorney in California? The term “white collar crime” often brings to mind the Enron scandal in the 1990s or Martha Stewart engaged in insider trading. Generally, white collar crimes are illegal acts that are deceitful in nature and do not require force or threat of force. Those accused of white collar crimes are often alleged to be involved in theft or fraud, usually at the expense of an alleged “victim”. The alleged victim can claim to be harmed by losing money through various transactions or through non-monetary injury such as losing good name and reputation. If convicted of a white collar crime, you can be sentenced to serious jail or prison time, and face hefty fines. That is why it is essential for you to hire an experienced white collar criminal defense attorney. For over 30 years, the attorneys at Wallin & Klarich have been helping those charged with white collar crimes. We can help you, too. Call us today at (877) 466-5245 for legal advice about your case or read below for more information about white collar crimes. Why Hire Wallin & Klarich? The success of our white collar criminal defense firm has helped us achieve the highest of merits, including a 5 out of 5 AV rating on Lawyers.com, a 10 out of 10 rating on AVVO.com, and an A+ rating from the Better Business Bureau. You can place your trust in Wallin & Klarich. Our knowledgeable California white collar crime lawyers are committed to defending your rights and your freedom. Call us today for immediate help on your case. For more information on laws regarding white collar crimes, read below or simply pick up the phone and speak to one of our skilled defense attorneys today. Call us today at (877) 4-NO-JAIL or (877) 466-5245 for a free telephone consultation. Originally, theft only dealt with simply carrying away of another’s property. This meant that there was no concrete crime of taking someone else’s property through fraud. Taking another’s property by fraudulent means did not fully evolve until the evolution of white collar crimes in the 1930s. Today, white collar crimes typically include non-violent crimes that concern property or money that are entrusted in somebody’s possession, such as an employee, accountant, or bookkeeper. There are a wide range of white collar crimes specified under California law including theft by false pretense, embezzlement, and other fraudulent crimes. Theft by false pretenses is a serious crime in California. The owner let you or another person take possession and ownership of the property because the owner relied on the pretense. Punishment for a conviction of theft by false pretense is determined by whether the offense is considered grand theft or petty theft under California Penal Code sections 487 and 488. In addition, the severity of the criminal penalties you face depends on whether the offense is charged as a misdemeanor or felony. A misdemeanor grand theft conviction is punishable by up to 364 days in county jail and a maximum fine of $1,000. A felony grand theft conviction is punishable by 16 months, or two to three years in county jail and a maximum fine of $10,000. A petty theft conviction is punishable by up to six months in county jail and a maximum fine of $1,000. California Penal Code Section 484 makes it illegal for you to use fraud or deceit to obtain possession to money, labor, or real or personal property. The owner let you or another person take possession and ownership of the property because the owner relied on the representation. Your punishment for this crime is dependent on whether you are charged with a misdemeanor or felony. A misdemeanor grand theft conviction is punishable by up to 364 days in county jail and a maximum fine of $1,000. A felony grand theft conviction is punishable by 16 months, or two to three years in county jail and a maximum fine of $10,000. A petty theft conviction is punishable by up to six months in county jail and a maximum fine of $1,000. Embezzlement is punished severely in California. When you converted or used the property, you intended to deprive the owner of its use. Embezzlement, like theft, can be charged as a misdemeanor or a felony. A misdemeanor grand theft embezzlement conviction is punishable by up to 364 days in county jail and a maximum fine of $1,000. A felony grand theft embezzlement conviction is punishable by 16 months, or two to three years in county jail and a maximum fine of $10,000. A petty theft embezzlement conviction is punishable by up to six months in county jail and a maximum fine of $1,000. When you signed the document, you intended to defraud. Forgery can be charged as a misdemeanor or a felony. If you are convicted of a misdemeanor, you face a forgery punishment of up to 364 days in county jail, a fine up to $1,000, and payment of restitution to any victims. If you are convicted of a felony, you face sixteen months, two years or three years in county jail, a fine of up to $10,000, and restitution to any victims. When you possessed, made, passed, used, or attempted to pass or use the document, you intended to defraud. Check fraud can either be charged as a misdemeanor or a felony. A misdemeanor conviction of check fraud is punishable by imprisonment in county jail for up to 364 days. A felony conviction of check fraud, you face up to 3 years in a county jail. If convicted of felony check fraud, you can be put on probation for up to three years, minus any time you are sentenced to in county jail. Prepare a document in support of a fraudulent claim. Punishment for health insurance fraud depends on the amount of fraudulent claims and how many fraudulent claims were filed. If the fraudulent claims add up to less that $950, health care fraud is charged as a misdemeanor punishable by up to six months in county jail and a $1,000 fine upon conviction. If the fraudulent claims add up more than $950, health care fraud can be charged as a misdemeanor or felony depending on the circumstances of your case. If health care fraud involving claims of more than $950 is charged as a misdemeanor, a conviction is punishable by up to 364 days in county jail and a $10,000 fine. If health care fraud is charged as a felony, a conviction is punishable by one year in county jail or two, three or five years in state prison, a $50,000 fine (or double the amount of fraud, whichever is greater). Have you been arrested for a white collar crime? You used the information without the consent of the person whose identifying information you are using. Identity theft can be either charged as a misdemeanor or a felony, depending on the circumstances of your case and your past criminal record. If you are convicted of misdemeanor identity theft, you could face up to 364 days in county jail, a maximum fine of $5000, or both. If you are convicted of felony identity theft, you face up to 16 months, two or three years in state prison and a fine of up to $10,000. Knowingly producing, transfer, possess or traffic any equipment that will be used to produce false identification documents. If you are convicted of federal identity theft, you face up to 15 years in federal prison, a fine up to $250,000, or both. You can face up to 20 years in federal prison if you commit identity theft while facilitating a drug trafficking crime, in connection with a crime of violence, or after a prior conviction for identity theft. You can face up to 30 years in federal prison if you commit identity theft to facilitate an act of domestic or international terrorism. Punishment for insider trading may result in civil sanctions, criminal prosecution or both. Additionally, you may be fined upwards of three times the amount of profits gained or losses avoided resulting from the trade. If you are convicted in a criminal insider trading prosecution, you are subject to a maximum of $5 million in fines as an individual (up to $25 million for a business entity), up to 20 years imprisonment, or both fine and imprisonment. Insufficient evidence: There is not enough evidence to convict you. There was no intent: You did not intend to defraud anyone. No knowledge: You had no knowledge of a scheme to defraud. Mistake of fact: You did not know that the information you provided was false and fraudulent information. Non-fraudulent statement: Not all false statements are fraudulent. A false statement must be related to a material fact. No justifiable reliance: Reliance by the alleged victim on a patently absurd false statement generally will not constitute fraud. No injury: The alleged victim did not suffer any loss or injury. Illegal search and seizure: The evidence against you was obtained without a valid search warrant. Entrapment: You committed fraud only as a result of being tricked into doing so by law enforcement. I am being charged with check fraud. If I tried to return or repay the money I had taken with a fraudulent check, am I still going to be prosecuted? It is not a legal defense to the charge of check fraud that you returned the property to the victim. You may still be legally guilty of the crime of forgery. However, making “restitution” to the victim through your lawyer at the earliest possible time can be a “mitigating factor” which can assist you in receiving a less serious sentence. If I attempted the crime but did not succeed, can my sentence be reduced? Yes. Under California Penal Code Section 664, any failed attempt to commit a crime that is punishable by imprisonment in state prison will result in a sentence that is one-half the prison term of that attempted crime. What if I was only in possession of the fraudulent information and had no involvement in making or altering it? Can I still be prosecuted? Yes. Even possessing or receiving fraudulent information can bring about criminal charges if it is shown that you intended to pass or use it to defraud. What if the alleged fraud was a joke and could not possibly be taken seriously? Can I still charges? Yes. If the alleged fraud was believed to be true and an alleged victim suffered a loss, you could be charged. However, a skilled attorney may be able to show that you had no intent to defraud anyone and you should not be convicted of the crime. If you or a loved one is facing criminal charges for any of the above white collar crimes, it is critical that you speak to an experienced criminal defense attorney as soon as possible. 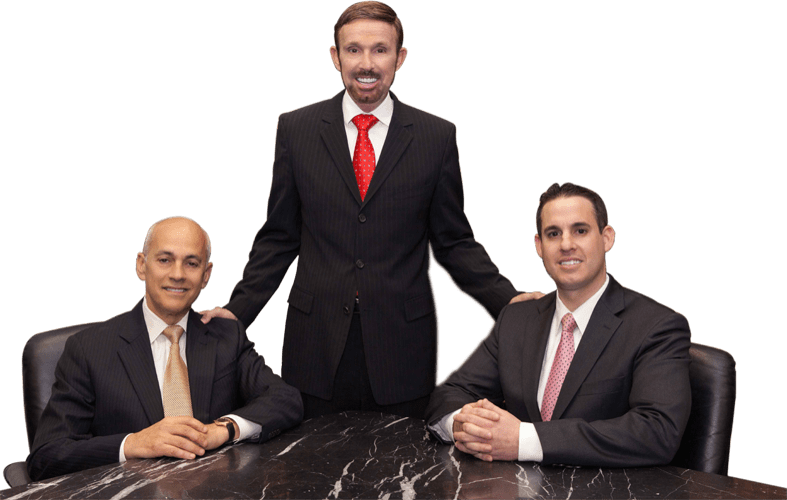 At Wallin & Klarich, our attorneys have over 30 years of experience handling all types of state and federal white collar crime charges in California. Our attorneys will fight to get you the best possible outcome in your case. With offices in Los Angeles, Sherman Oaks, Torrance, Tustin, San Diego, Riverside, San Bernardino, Ventura, West Covina and Victorville, there is an experienced Wallin & Klarich California criminal defense attorney near you no matter where you work or live. Call us today at (877) 4-NO-JAIL or (877) 466-5245 for a free phone consultation. We will get through this together.